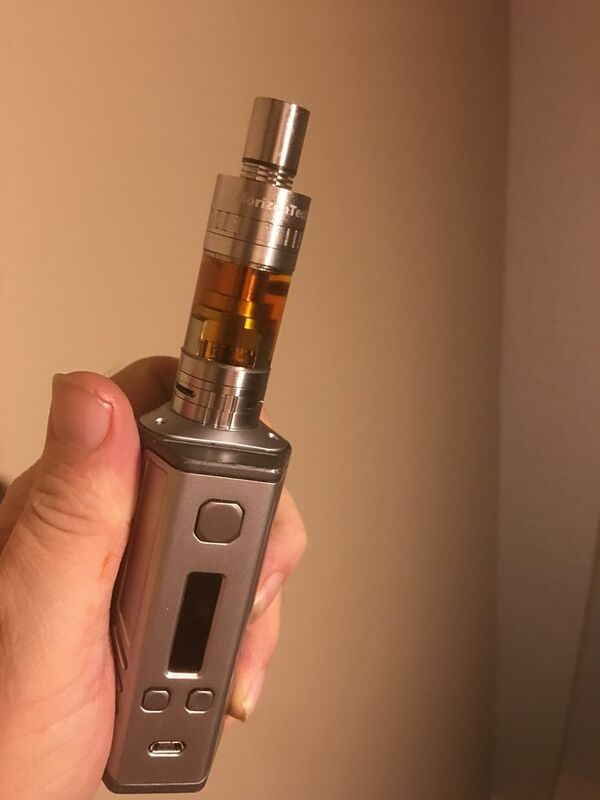 From what I can tell, there's only the RX2/3, not a DNA200 version. Unless you paid over a hundred bucks, it's an RX200 chip. Still a cool mod though. Got some more concentrates today, good ol' Heartland. (07-01-2017 11:14 PM)Robjenko Wrote: 625 miles on one tank that's impressive at motorway speeds. What car was that? Renault 21 estate with the 1700cc motor. Huge tank, large (but light - it weighed 300kg less than my current much smaller Skoda Octavia estate) car with good aerodynamics and pretty good handling, the length, width and balance made it pleasant to drive. All the way from East Anglia, 150 miles south to Cambridge and then up the M1, M6, M74, A90 to Aberdeen. Finally ordered new batteries, had to go cheap and got a 4 pack of LG HE4. More toys need more batteries. Now that I've encountered a clone, I'll never go outside TVFs recommendations. I wish there was a warning, like the Surgeon General's on cigarettes, about batteries. I'm looking about for a small squonker - something not a lot bigger than a Dripbox but preferably with a DNA 40 or 75 chipset in it. (16-01-2017 05:17 PM)Don Wrote: I'm looking about for a small squonker - something not a lot bigger than a Dripbox but preferably with a DNA 40 or 75 chipset in it. Hi Don - decent squonkers are thin on the ground and by their nature they are not small but I will keep a keen eye out for one - I would like one as well . BTW I am glad you liked the calendar. I may have completed a quest. I have been looking for a tank I can get factory coils for that will do TC mode. I found I really like the Arctic Turbo tank with its gimmicky internal propeller and I found NI200 coils for it and ordered some. The massive tank looks great on top of my Triade mod, breathes well and doesn't leak. I will update after the coils arrive. Looks like my RX300's are at the local post office for a delivery today. Wonder if I will like it. (18-01-2017 02:05 PM)TinWhisker Wrote: Looks like my RX300's are at the local post office for a delivery today. Wonder if I will like it. Of course you will - it is a really nice mod. Hope you get it today and tell us about it.